Free Los Cabos, Mexico Vacation Guide! Sign-up for our FREE Los Cabos Vacation Guide and automatically enter our Vacation Giveaway! Win 3 nights at one of our outstanding Los Cabos Resorts PLUS a complimentary activity for two! How Can We Help? | Call Us Today! At Earth, Sea and Sky Vacations we are committed to making your Los Cabos vacation as enjoyable and stress-free as possible. The information here should help you better understand the requirements for entering and leaving Mexico, and prepare appropriately for your trip. Before Departure Effective June 1, 2009, all U.S. citizens are required to present a passport when traveling to or from Mexico or Canada. For more complete information on obtaining and renewing passports, including forms to renew by mail and expedited service options, see the U.S. Department of State Passport site. Canadian Passengers Effective March 1, 2010, Canadian travelers to Mexico are required to present a valid passport as per the Western Hemisphere Travel Initiative. Visit the Canadian Passport Website for more information. In addition to possessing one of the forms of documentation mentioned above, unaccompanied minors traveling without both parents may require additional documentation in order to travel to Mexico. We recommend that you check with your carrier prior to your trip for current requirements to ensure you have proper documentation. Please refer to the U.S. Mexican Embassy site for current information. Immigration requirements are subject to change by the Mexican Government. En route to Mexico, you'll be given a baggage declaration form and asked to itemize what you're bringing into the country. You'll also be provided a MEXICO TOURIST CARD - do not lose this as you'll need it to exit the country. Upon entering Mexico, you'll be given a baggage declaration form and asked to itemize what you're bringing into the country. If you're bringing gifts to friends and relatives in Mexico, you should be prepared to demonstrate to Mexican customs officials the origin and the value of the gifts. U.S. citizens entering by the land border can bring in gifts with a value of up to $50 duty-free, with the exception of alcohol and tobacco. Those entering Mexico by air or sea can bring in gifts with a value of up to $300 duty-free. Tourists are permitted to bring in personal effects duty-free. According to customs regulations, in addition to clothing, personal effects may include a camera, video player, laptop computer, CD player, 5 DVDs, 20 music CDs or audio cassettes, 12 rolls of unused film, and a cellular phone (regulations subject to change). To avoid duty fees on valuable items upon return, you may find it beneficial to register these with U.S. Customs. DO NOT bring firearms, meat, vegetables, plants, fruit, or flowers into Mexico. As you exit the airport, be cautious about in-airport timeshare sales pitches. If you have reserved transportation, your ride will be awaiting outside, where taxis are also available. After checking out, make sure you head to the airport on time. 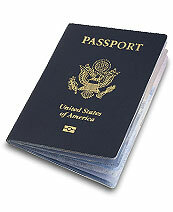 Have proper documentation on hand, especially the MEXICO TOURIST CARD you received on the flight to Los Cabos.. Prohibited Items – For Guests from the U.S.
Before you pack that papaya into your travel pouch, or adopt that friendly iguana, be sure to check out the U.S. Customs guidelines on items prohibited or restricted when entering the U.S.
For information on importing pets and wildlife, consult the U.S. Customs and Border Protection Agency, and the U.S. Fish and Wildlife Service. U.S. Customs: The U.S. Customs Service currently permits U.S. citizens returning from international travel to bring back $800 worth of merchandise, including 1 liter of alcohol, duty-free. Additional amounts are subject to applicable duty fees. Some U.S. border states (most notably, Texas) also have imposed restrictions on liquor, wine and beer imports from Mexico. Inquire about restrictions with the liquor control office of the state through which you will return. It is illegal to bring Cuban goods into the U.S. Although some items are allowed, it is best not to bring back fruits, vegetables, meat or dairy products. For a list of prohibited items, visit the U.S. Customs website or contact the U.S. Consulate before returning. Mexico Vacation Guide and Enter to Win! Win 3 nights at one of our outstanding Los Cabos Resorts! No thanks, I know Cabo like the back of my hand.